Summer is really here now and we are starting to enjoy more veg from the garden at the Steading. 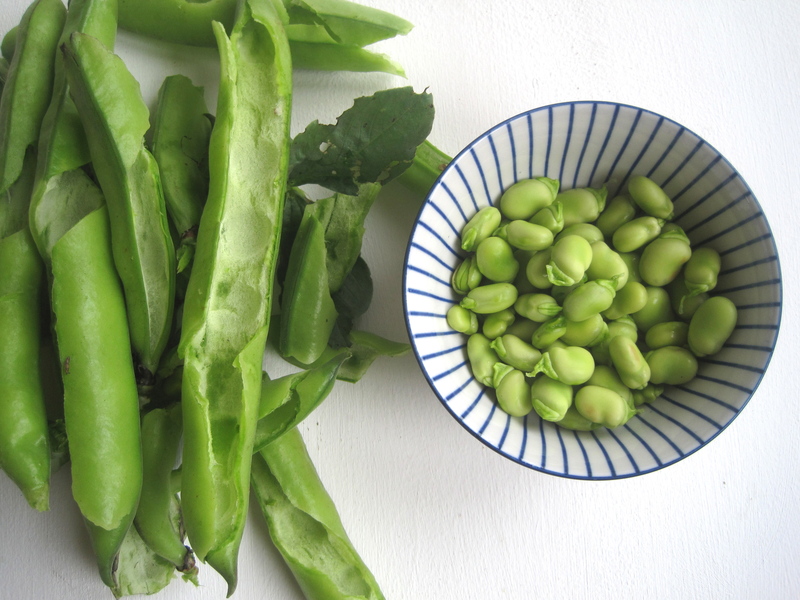 We have just enough broad beans to make this salad so we thought we would share it with you too! 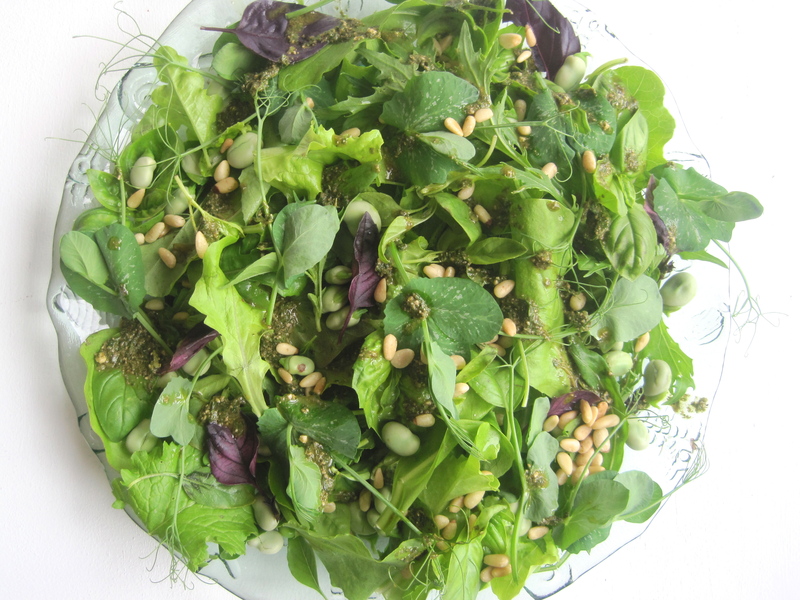 Very simple, just a celebration of fresh healthy green stuff – serve along with our lemony zingy pesto dressing. 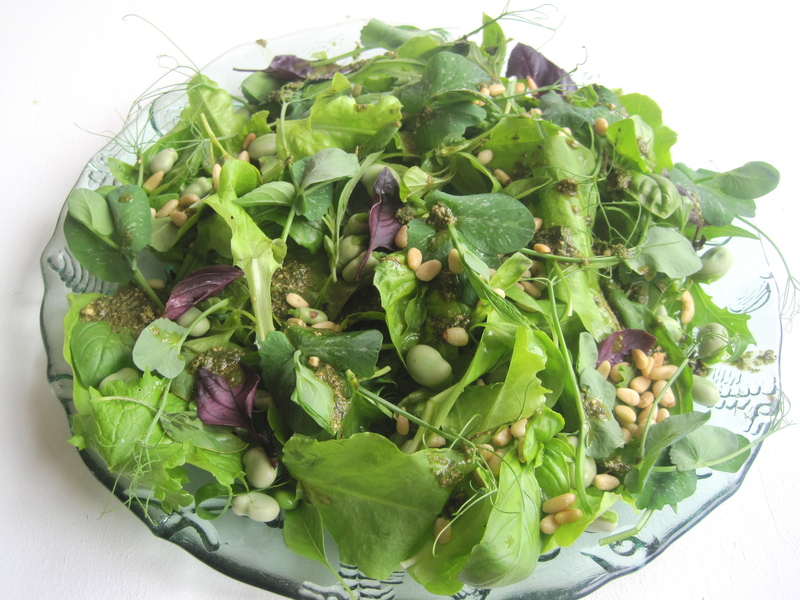 Dressing – combine 2-3 tsps of pesto with juice of half a lemon, 2 tblsps extra virgin olive oil, 1 tsp balsamic vinegar, pepper and stir to taste. Serve with the salad.